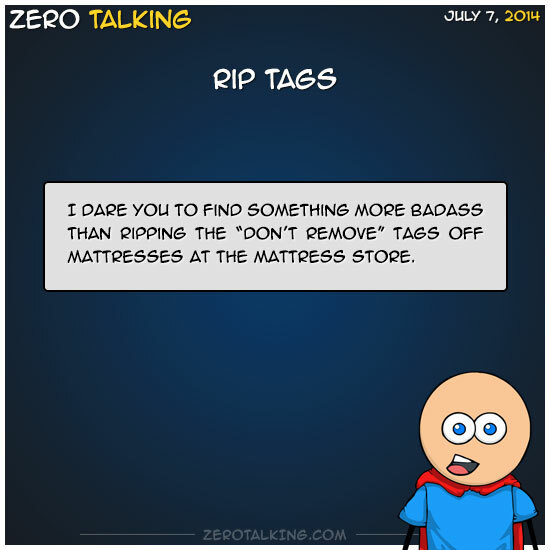 I dare you to find something more badass than ripping the “don’t remove” tags off mattresses at the mattress store. Janene: I walk in the “Do not enter” door. Yes, I’m that bad. Chris: DUDE! It says “Under penalty of Federal Law”!! Dawn: I put extra chocolate in my milk shake. Yep, I go there.